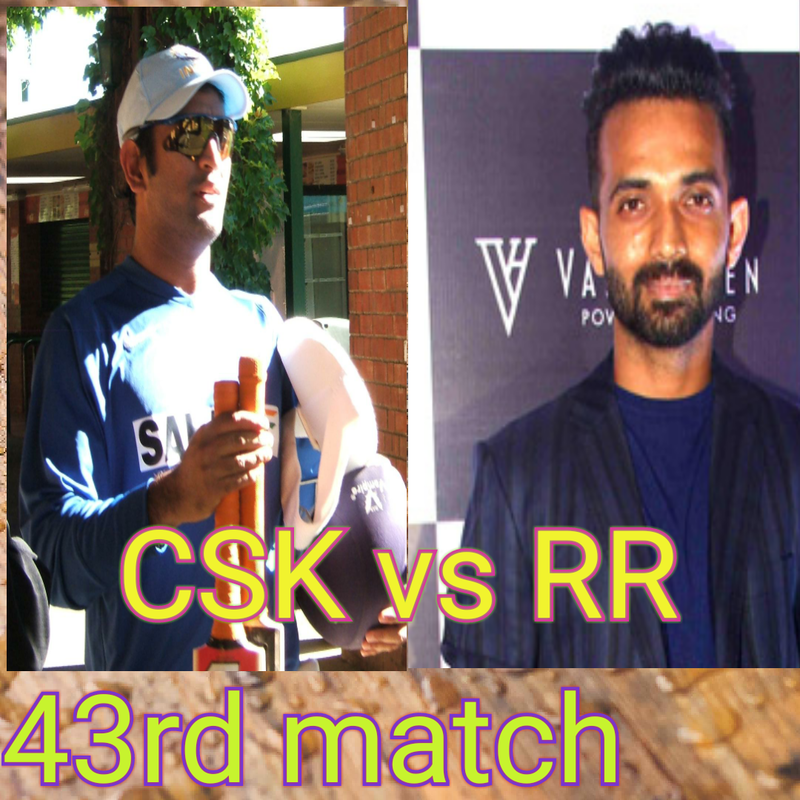 CSK 176/4 in 20 overs RR 177/6 in 19.5 overs. RR won the match by 4 wickets. On other hands, Chennai Super King in a good position in point table this time team is now at the second position below sunriser Hyderabad so Chennai Super King a few steps behind to qualify for playoffs. 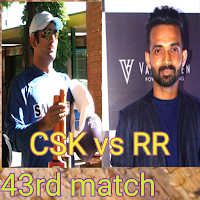 CSK won the toss and elected to bat first. CSK lost the wicket of Raina c Binny b by Sodhi. Raina scored 52 of 35 delivery in which he smashed 6 4s and 1 6s. After Raina's wicket Dhoni and Willing increased the score to 176/4 in 20 overs.